Vice-President Leticia Arroyo speaks her truth. Join special guest Leticia Arroyo, Vice President of Aspire Realty group and long-term Soul Dancer student along with Soul Dancer, author of Pay Me What I'm Worth for 30 minutes to learn how souldancing has played a roll in her life. Enjoy at least one or two ah-ha moments. Need help? Hire Soul! Call 312-268-0000 to schedule an appointment. 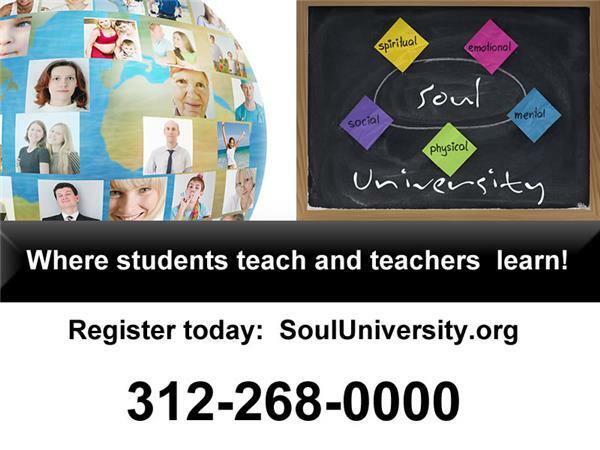 In the meantime, click to visit Soul University to access his library of personal, professional and spiritual support. Did you find this show useful? If so, please click this link to share a donation of any size. The more Soul receives, the more he's able to give.